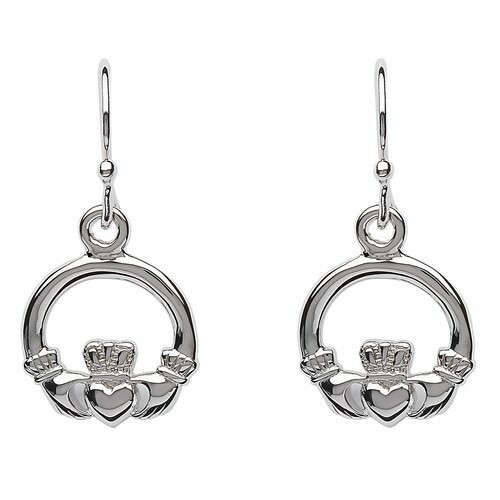 This traditional Celtic Irish Claddagh design is just delicate enough to make a smart pair of drop earrings you can wear anytime you feel particularly Irish (or in love). 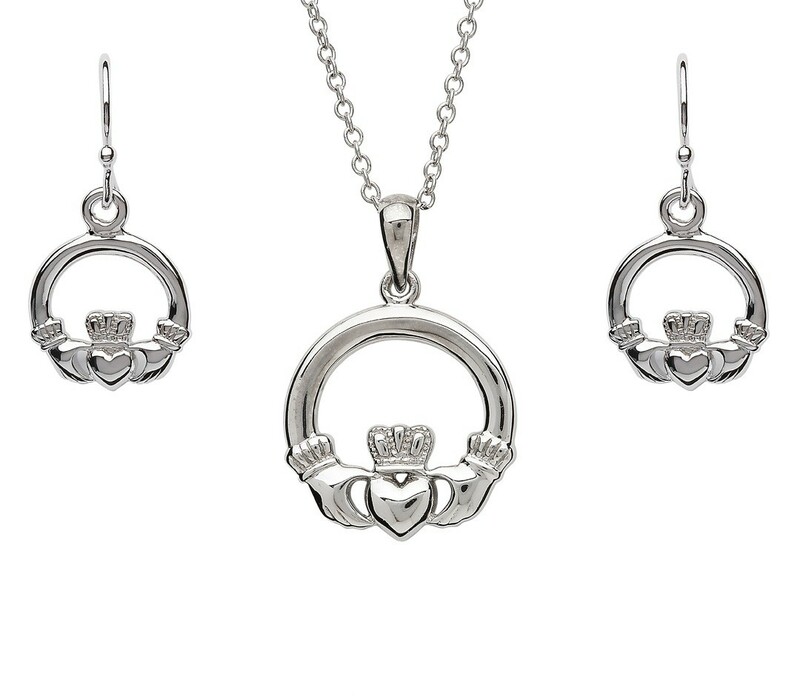 Crafted in Ireland from Sterling silver, these pieces show intricate detail in in the tiny heart, hands and crown of the iconic Claddagh motif. 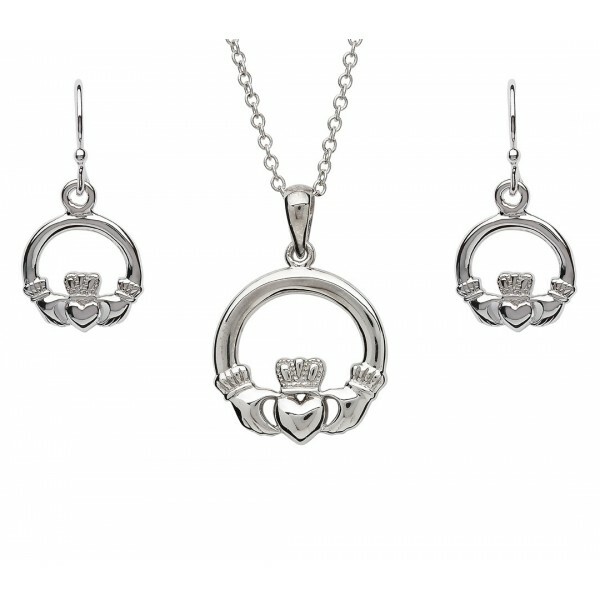 Pair them with our Sterling Silver Claddagh Pendant Necklace! A beautiful symbol synonymous with Celtic culture, the Claddagh is represented by the heart, the hands and the crown. 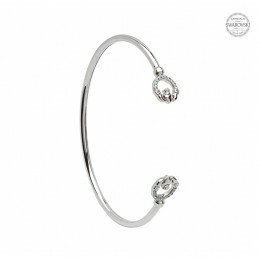 The hands join together in support of the heart, which is central to the design, and is completed by a crown resting atop. 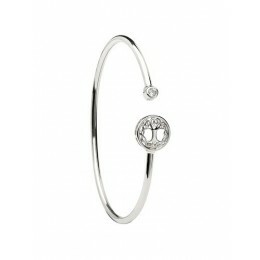 The crown represents loyalty, the heart love, and the hands friendship. 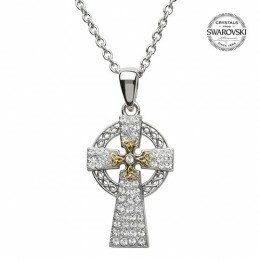 The Claddagh may be worn as a token of love and appreciation, to honor a friendship, or simply as a personal statement of Celtic pride.